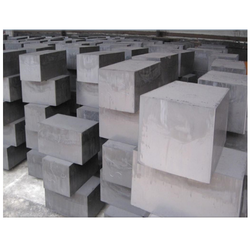 We are a leading Manufacturer of molded graphite block from Mumbai, India. Molded Graphite Blocks are used for machining mold for continuous casting applications for precious metals, diamond sintering molds, die-cast mold, molds for glass industry and machined parts in the automobile industry. Looking for Molded Graphite Block ?